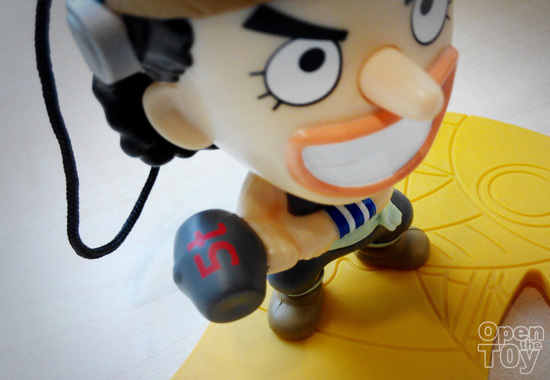 The last second one to review for McDonalds One Piece figure would be Usopp. 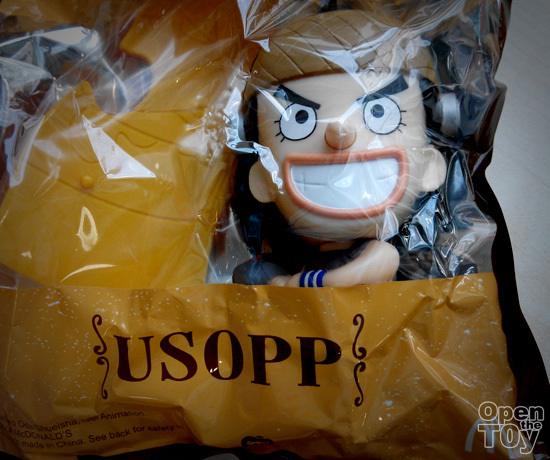 Now I know not many people I know like Usopp. In the early of the Manga I always see him cry too much but when I read more about his back story and how he put in extra effort in his growth, I started to kinda like him. 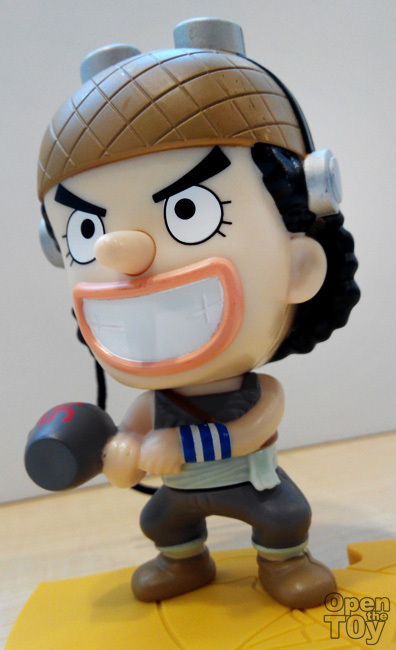 I have to say as a toy figure, they done a very good job for Usopp as the face feature just came out of 3D from the anime or Manga! 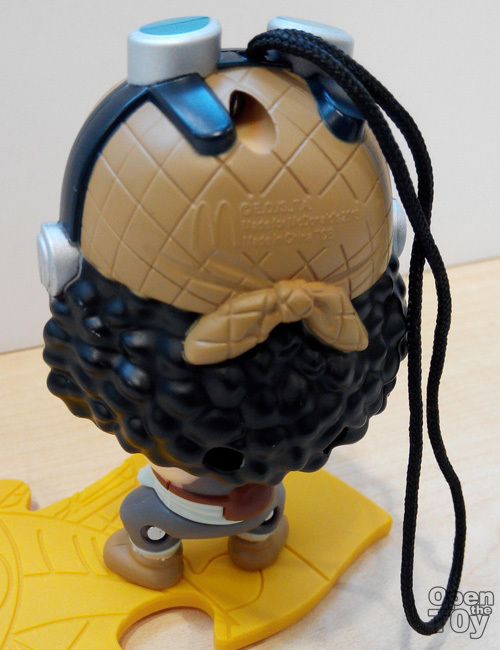 Even the goggle and head band details was great in coloring and clarity. I couldn't ask for more. This figure was given an action spin when you pull back the 5 ton hammer and let go, it will spring back resulting some spinning. However the feature result may not be consistence in spinning action. 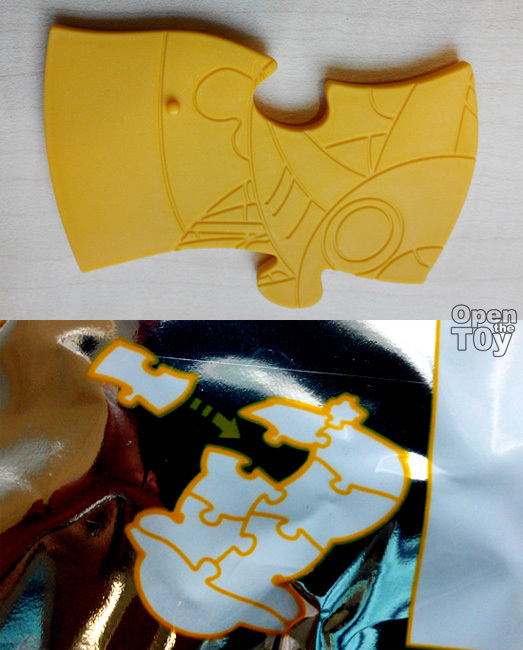 The figure come with another puzzle piece for the Thousand Sunny stand. To be honest the first time I read the Manga, I always thought Usopp look like the young Michael Jackson. Maybe that's just me. This figure look outstanding in the feature (more to his nose and thick lips and big teeth). Even the spinning action is fun to play with. As the toy, the fun factor was good! 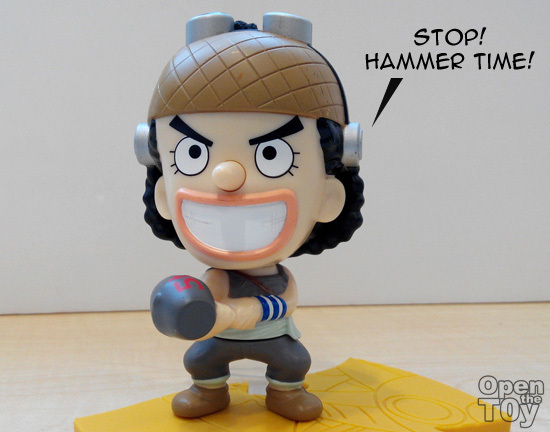 Do you like this Usopp?